We will be meeting up for breakfast, on-campus Starbucks. Please subscribe to the YouTube channel! Many previous meetings are available as well! November's and December's meetings are on the third Saturday of the month. The Maker Faire will serve instead of the May meeting. If you are planning to attend in person or by YouTube, please go to Meetup.com and register for the meeting. There is no need to register if you are not attending. 3) Suggested parking is in the small lot near the intersection of Santa Teresa St and Lomita Dr. There is no need to feed any meters on the weekends. Do NOT park in any place marked with 24/7 restrictions! Most other places are okay on Saturdays. Read the signs! 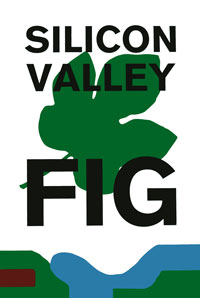 Links, PowerPoint, PDFs, and source files from previous months' meeting are on the SVFIG website. All this and video from Forth Days are on the SVFIG website too! Several years of SVFIG meetings are on YouTube for your Forthish pleasure. T Shirts? As of now, order them before the meeting from Andreas. He will bring them to the meeting or ship them to you. Bring your creative T-shirt ideas to the meeting and we'll talk about another round of shirts for Forth Day 2019! We'll have lunch at The Treehouse. We try to stick to the schedule. Remember that schedule slip is sometimes unavoidable. Maybe we need a new clutch. If a guy's on a roll, one wouldn't want to interrupt. Once in a while we shuffle things around, for whatever reason. If you're desperate to see a particular thing at a particular time please mention it and we'll try to accommodate you. If we get enough of this sort of request, we'll institute a system of graft and corruption in order to accomodate the well-healed among you. The schedule above may be reformatted or line-justified but please transmit it verbatim and in its entirety or not at all. A link to this page is preferred. No Newsgroup posts or other media distribution please! Contact me and we'll discuss it BEFORE you proceed. Jay McKnight will tell us about Forth-based calibration tape production. Dwight is on for April! Andrew Korsak says ..."Got an Rpi, put gforth in it, will write SW to grab and forward Doppler Radio Direction Finding bearings remotely. Another RDF project in the works with ham buddies: TDOA network. Could be a future SV-FIG talk. >50th Anniversary of Forth, Charles Moore was invited as Guest of Honour. This page is produced by Kevin Appert, the SVFIG Program Chairman. 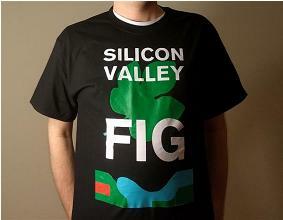 This page is distinct from the SVFIG and FIG websites which are produced by the SVFIG Webmaster, Dave Jaffe. Comments and corrections are welcome.